With hookups for water, electric, and sewer, these sites are perfect! Please call for seasonal pricing and availability. 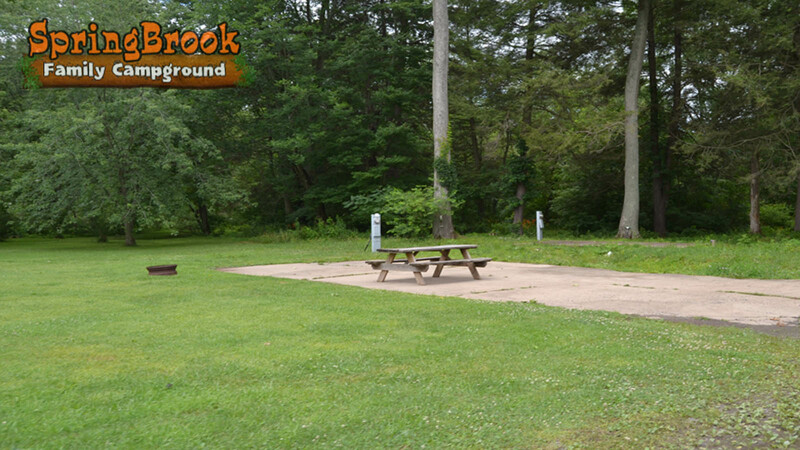 Who want the basic comforts of home while enjoying the peaceful serenity of the outdoors at Springbrook Family Campground. Come stay with us for a weekend or for the whole summer! Seasonal Rates - As sites are being filled fast. Please reload your browser and/or refresh by pressing F5, to ensure you have an updated list. Thank you! Creek Site includes electric, water and sewer hookup. During the off-season, we would have to relocate your camper off of your site..
Off Creek Site includes electric, water and sewer hookup. During the off-season, you would not have to relocate your camper off of your site.